Did you know that a huge percentage of the total number of garage door accidents is related, in one way or another, to garage door springs? Yes, you read that right. 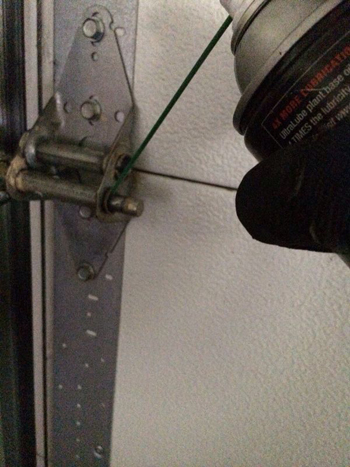 The springs that hold your garage doors and help in its operations are actually a nasty piece of work. Since these springs are wound very tightly, they are able to store up too much power. The tension these springs sustain every day is just extraordinary so that when those are released, there is potential danger for anything around them. Just look at it this way; the best thing that could happen should the spring tension be released accidentally is an ugly scratch or dent on your car. The worst is serious or even fatal injury to you or any member of your family. Because of the tension these springs are subjected to everyday, multiplied by the weight of the door they are designed to hold, these springs are expected to last only about 6 years. Once your door has reached about six years of service, it is about time you consider replacing the springs. This is even if they are well maintained and are not showing any signs of wear and tear. To neglect this very important thing can prove to be dangerous for you. Broken springs are known to appear in a time you least expected. So before anybody gets hurt, get them replaced in time. In view of these dangers with springs, it has always been stressed that any work related to them should be left for professionals. 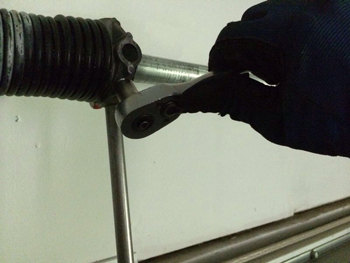 You can personally perform garage door maintenance including cleaning and lubricating these garage door parts, but for your own safety, you should never attempt any garage door torsion springs replacement much less broken spring repair. It is always best to prioritize safety over any benefit of savings as your security is critical.